Do you have a child approaching adulthood OR do you have an adult child on the the spectrum? 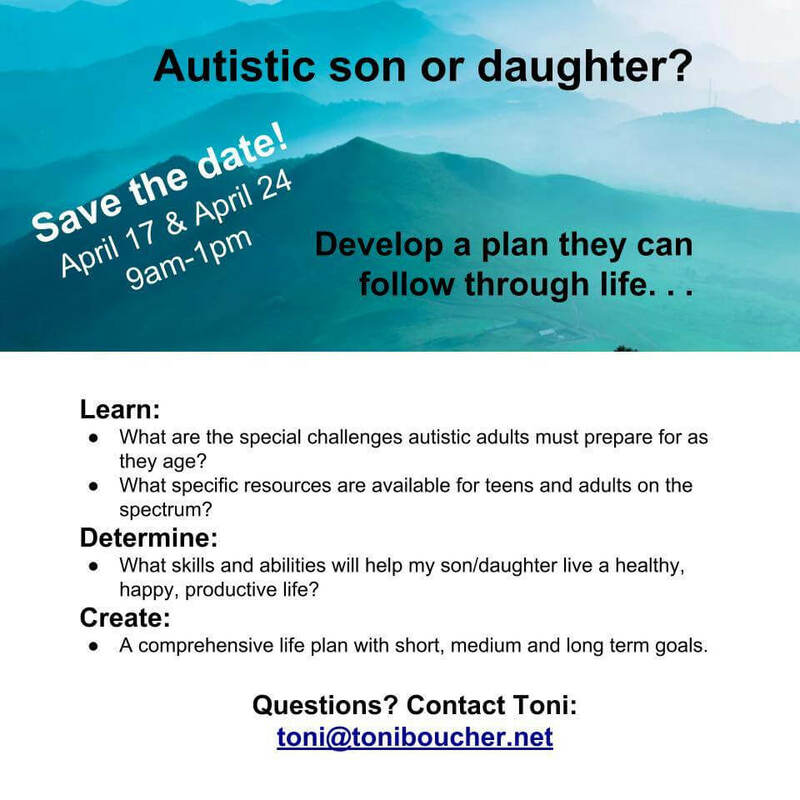 Toni Boucher is hosting a Long Term Plans Workshop April 17th & 24th from 9AM -1PM. Check out this amazing opportunity to network with other parents and participate in guided goal setting for your child and family! You can add these and other events Toni is organizing to your calendar by visiting Toni’s section on the Project Rex calendar and clicking the “+ Export Events” button at the bottom of the page.